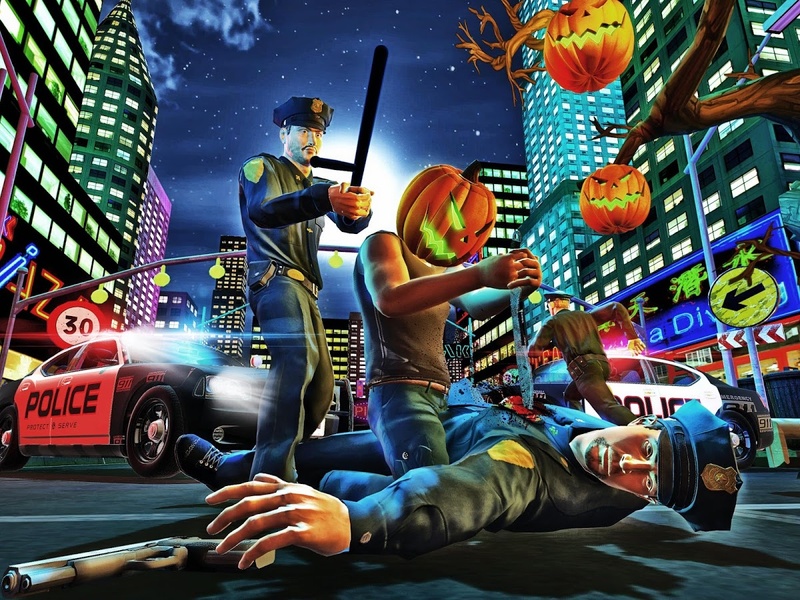 Enjoy street crime, violence and robbery with a Halloween theme! A blend of crime games & Halloween games! 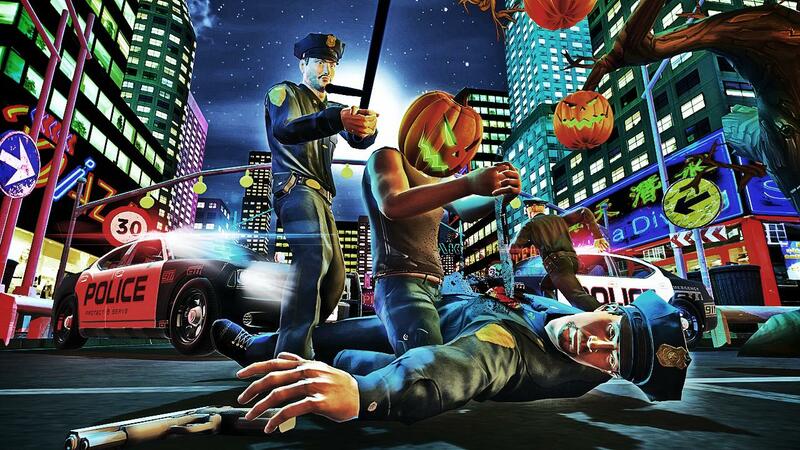 The entire crime city is turned into a Halloween city with pumpkins & scary costumes. Crime games are going to be fun in the Halloween season. This Halloween your gangster squad is goin... see more Enjoy street crime, violence and robbery with a Halloween theme! A blend of crime games & Halloween games! 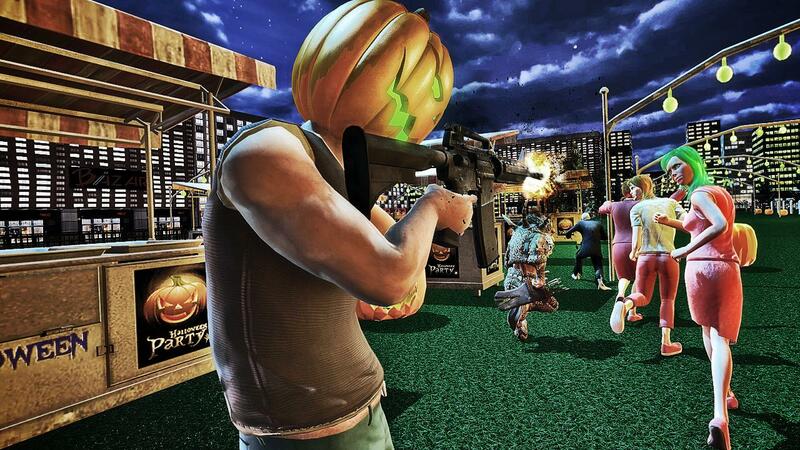 The entire crime city is turned into a Halloween city with pumpkins & scary costumes. Crime games are going to be fun in the Halloween season. This Halloween your gangster squad is going to rule the streets. Smash, crush and kill. Be prepared to fight & attack your rival security cops, innocent people with scary costumes, police officers & kids. Transform the Halloween city into a sin city. After a hard time escaping from a high security prison along with your cell inmate suicide criminal squad, take over the Sin City as a thief gang leader. Plan new robbery, steal Halloween candy and play as robbers against guards to execute theft this Halloween night. Meet other notorious grand criminals, fight the brutal targeted missions, escape from the inescapable security police chase and use your driving simulator, first person shooting and third person shooter skills. Use your sniper gun to kill those that comes your way. Steal, Dodge, run and escape! In a town full of gangsters, this Halloween is going to be ruined this year. Prove yourself to be a brave new blood of the criminal squad. Plan a grand robbery and then a quick escape from maximum security to meet your gang boss. The streets are full of people with scary Halloween costumes. 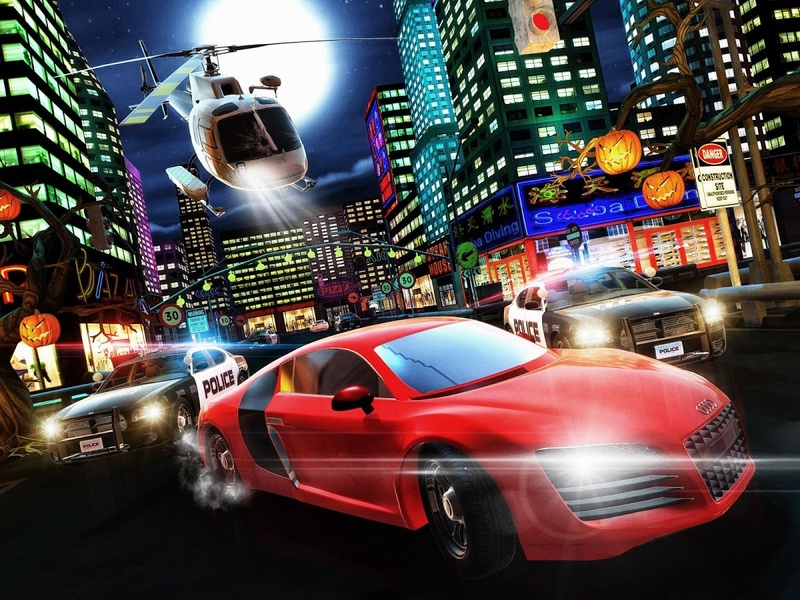 Play as a Thug Gangster & Do some crazy mission with car theft & lots of gangster fighting action. California crime rate is getting out of hands of the city police department & Grand gang wars are now becoming part of daily routine. Join the deadly criminal world in the streets of San Andreas & low life scum areas. 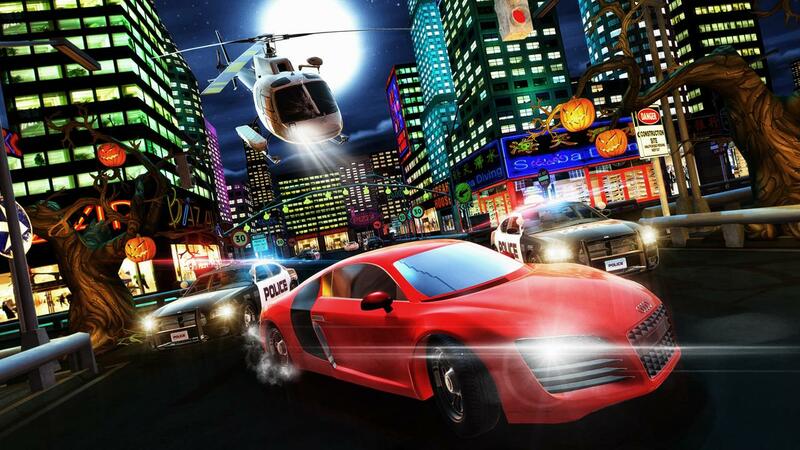 Rush & Explore the crime city for any golden opportunity to beat the public and kill them. 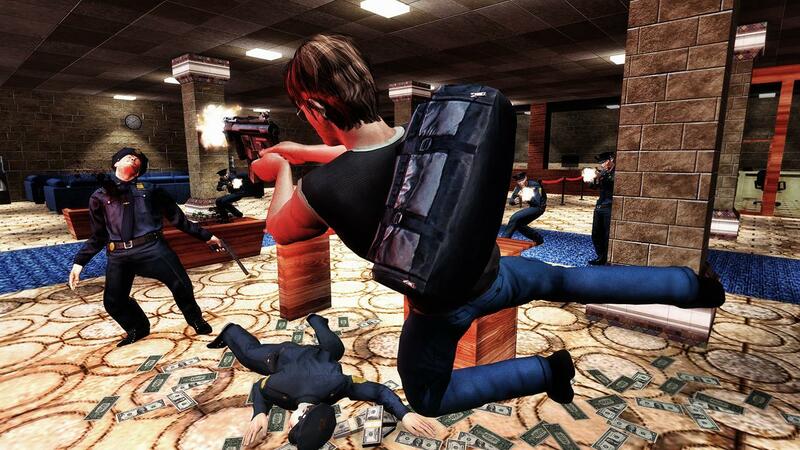 Be the skilled robber and get out from dangerous crime scene. Grab your gun, shoot at the police cars and keep running to escape from hostile situation. Ruin the family Halloween parties with a twist of robbery & crime. Enjoy Crime Halloween games for fun!